There are a number of reasons why Fiat remains a very popular choice when it comes to a vehicle lease or purchase. It has become common place for motorists the world over to lease cars that are not only durable, but defy the incessant financial crunches that rock today’s economies. 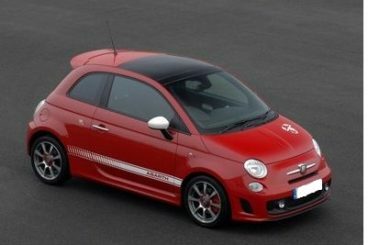 Since the launch of the Abarth 500 in July 2008, motorists have developed a firm liking for this vehicle, with many attributing its popularity to its almost perpetual life. There are plenty of emerging reports that lend credence to the fact that the Fiat 500 Abarth is a slow depreciating vehicle which promises long-term value to all individuals who opt for a lease or purchase of this small city car. Unmatched in the industry, the Abarth 500 exudes great power, courtesy of its 1.4 litre 16 valve turbocharged engine and offers a return of an amazing 128 mpg. Individuals opting for a lease of the Abarth 500 will enjoy this car’s high resale value – a clear sign of Abarth’s strategy to deflect depreciation. Reviews of the Fiat 500 Abarth highlight comfort, performance, quality, handling, practicality and running costs. The Fiat 500 Abarth – big smiles for less money! If you’re looking to purchase or lease a new Fiat contact our sales team. Alternatively, visit our website where you will find new and used Fiat’s available for sale or on finance.